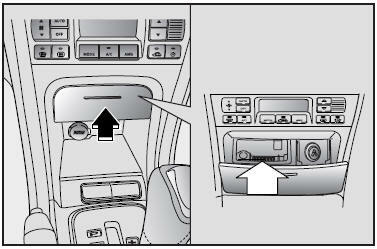 To use the ashtray press the front face and the ashtray will slide out. To remove the ashtray, grasp the bucket in the ashtray, and pull it up carefully. 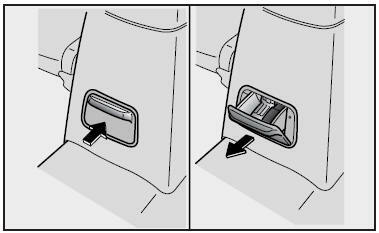 To remove the rear ashtray, pull it out to the normal position, push down on the lock spring plate, and pull the ashtray out.